DNA is the code of life, and so advances that allow us to edit that code have unlocked vast potential, from simply editing away the buggy code of disease, to engineering animals that don’t spread illness, to, maybe one day in a distant future, creating so-called designer babies. But editing another essential molecular component of our biology—RNA, the messenger used by cells to turns DNA instructions into proteins—also holds great promise. A slew of recent high-profile discoveries have focused on pairing the buzzy genetic engineering tool, CRISPR, with RNA editing. 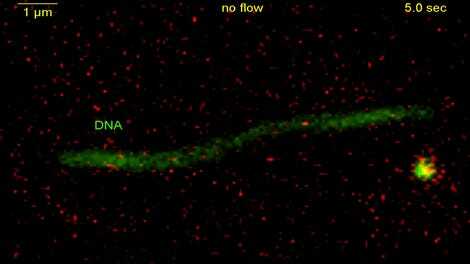 RNA is a sort of middleman that turns genetic instructions from DNA into proteins. Editing RNA could allow scientists to tweak how genes are expressed without making permanent changes to the genome itself—thus avoiding one of the scarier aspects of genetic engineering, because you’d be interfering with DNA’s instructions rather than editing DNA itself. RNA is ephemeral, which means changes to it could be reversed. And in some diseases, like a form of muscular dystrophy called myotonic dystrophy, mutant RNA is actually the root of the problem. 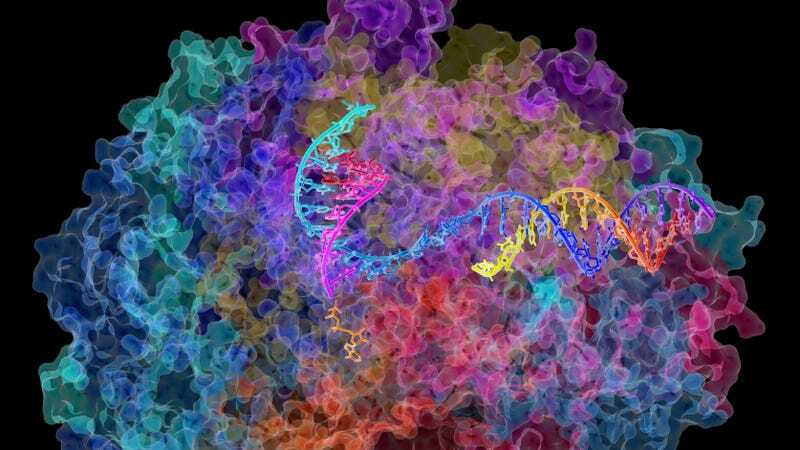 In October, scientists at Harvard and MIT’s Broad Institute unveiled, with ample fanfare, a method of editing RNA using the CRISPR system and a protein named Cas13 rather than the usual enzyme CRISPR is paired with, Cas9. One of the key features of the new system is that it relies on an enzyme that is physically smaller than those used in previous work. That matters, because it makes it easier for the editing tools to physically make their way into cells to edit them. In the study, researchers demonstrated the ability to use their new RNA editing system to correct a particular stage in RNA’s process, called splicing, in cells modeled to reflect frontotemporal dementia. Hsu said his team had specifically been searching for smaller CRISPR enzymes that could facilitated editing neurons and other cell types of the brain. And they wanted something that would be more specific than RNA interference, in which drugs are used to alter RNA’s function.